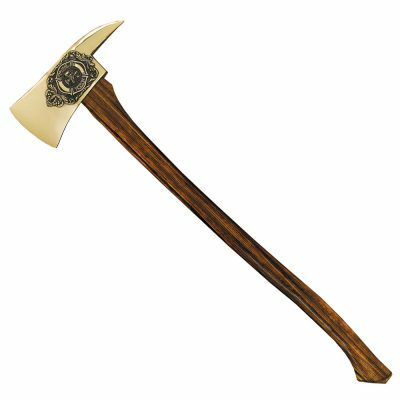 Elaborately Detailed Axe with Maltese Cross Logo and Solid Hickory Handle. Overall Size is 11-1/2″ x 35-1/2″. Includes brass plate (not shown) that can be personalized with your message. Walnut display stand is available at an additional cost. Perfect Award to acknowledge a firefighter or fire department.